Joan McManus-Massey has 40 years of professional experience in the areas of finance and human resources for leading telecommunications company in the United States. She is currently working at Aon which empowers organizations and individuals to secure a better future through innovative talent, retirement and health solutions. So on a day to day Joan handles large and small companies , retirement plans, and companies merges and acquisitions. Prior to her current role Massey retired from AT&T with the same responsible and with the experience she gained , it actually became beneficial to her next job. Being interested and knowledgeable about the field and enjoying it is what Joan attributes her success too. 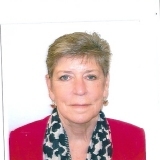 Other then retiring in the future Joan would like to continue with skills-based volunteering (pro-bono consulting).